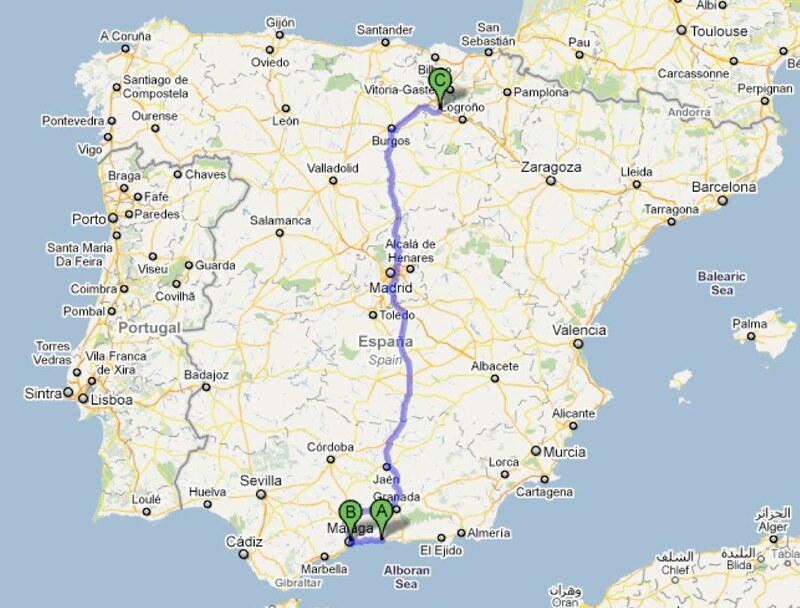 We arrived in Haro about 9 pm, about an hour before sundown. We were pleasantly surprised by a cool mountain breeze that required us to pull out our sweaters. A nice - albeit shortlived - change from the heat of the south. Through HomeExchange, we had arranged to trade our rental apartment in Buenos Aires for a comfortable loft in Haro, in a building owned and operated by a Spaniard and his Argentine wife, Sandra. Another small world moment. 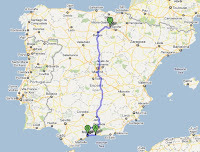 Haro is a delightful town, very manageable in size and full of picture-perfect architecture and landscapes. 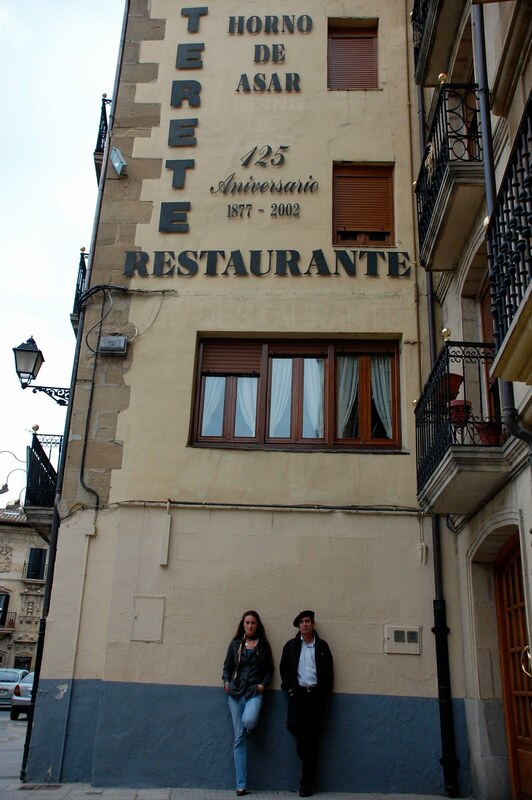 And the food is quite tasty, especially at our favorite restaurant Terete, specializing since 1877 in cordero asado (roasted lamb). Who knew roast lamb was so good? We also recommend the roasted chicken and the bean and chorizo soup. Alas, we never got around to trying out the desserts. 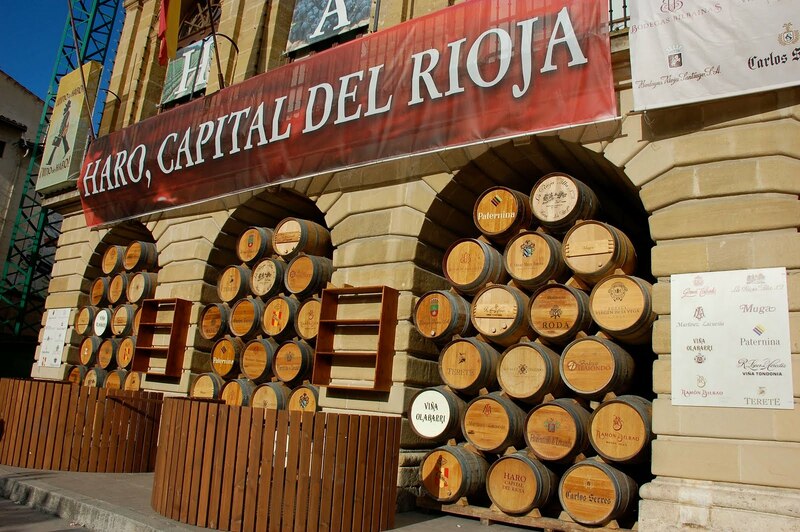 Haro bills itself as the wine capital of the wine province, a claim that certainly seems fairly justified by the numerous bodegas around the town as well as the many wine and tapas bars in the center. 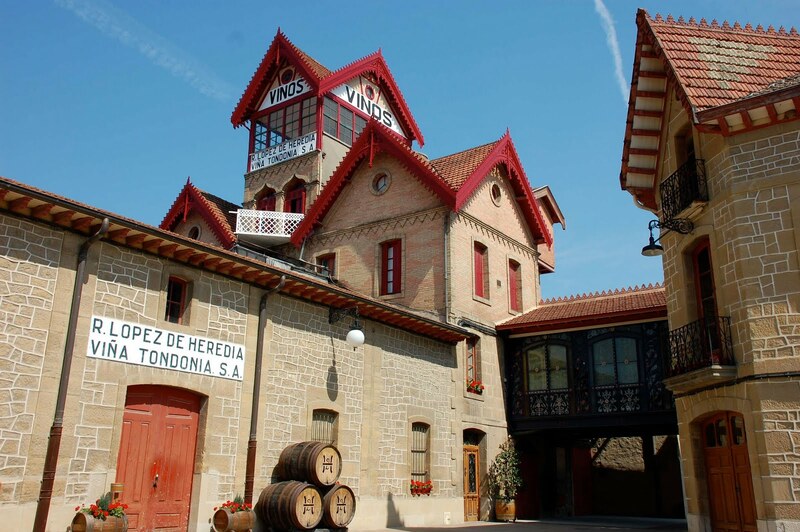 The most impressive venue we visited was Bodega López de Heredia Viña Tondonia, the third oldest bodega in the province and a real gem of facility, with eye-popping facilities, hand-hewn storage caverns underneath the production area, its own barrel-making workshop, and a delightful tasting room. More photos from this and other bodegas in the area here. 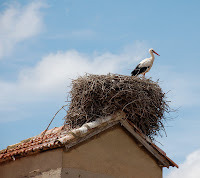 Also impressive were the storks that seemed to have built their huge nests on just about every chimney and steeple in the town. From our living room we could see - and hear - 4 pairs of storks, some still with offspring that showed up regularly at dinner time. 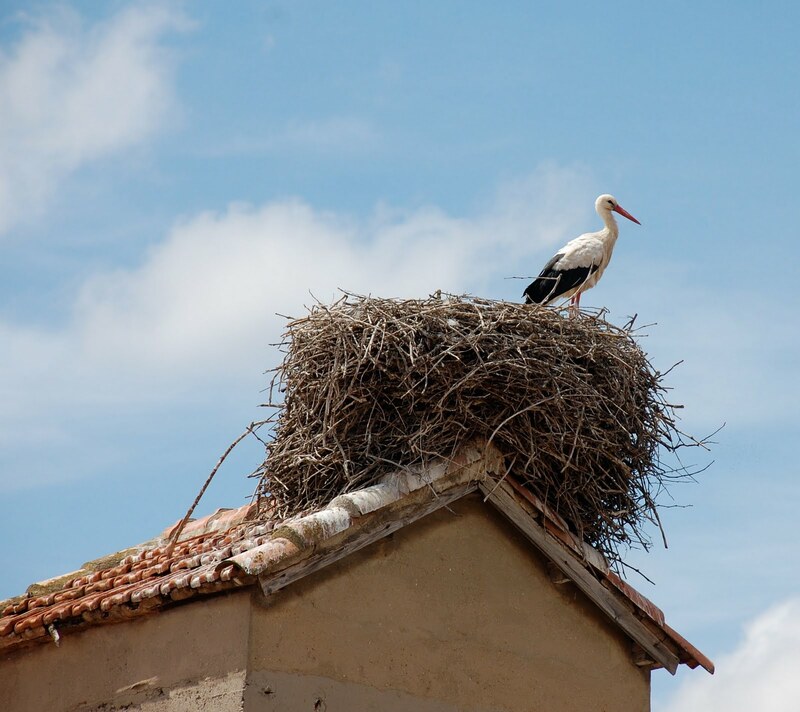 Rather than singing or chirping, storks clatter their long beaks while making gutteral noises. Kurt mastered a very good imitation of the interesting sound that is produced. Stork watching became a ritual, as evidenced by this small sample of many many stork photos we took. And for those similarly smitten with these huge gawky miracles of flight, here's a fact sheet on their habits.